Ok, you might have some weird and wonderful spaces to fill, but you don’t know how. First pick up the phone and get in touch with your local decorating or joinery company. Either of those will work closely together, so there is a good chance that won’t need to do any extra organising in order to get he best of both worlds, price and quality. Right design and materials are the crucial parts of your project, as well as the right people for the job. If chosen right, your bespoke furniture will keep you happy for years and years. 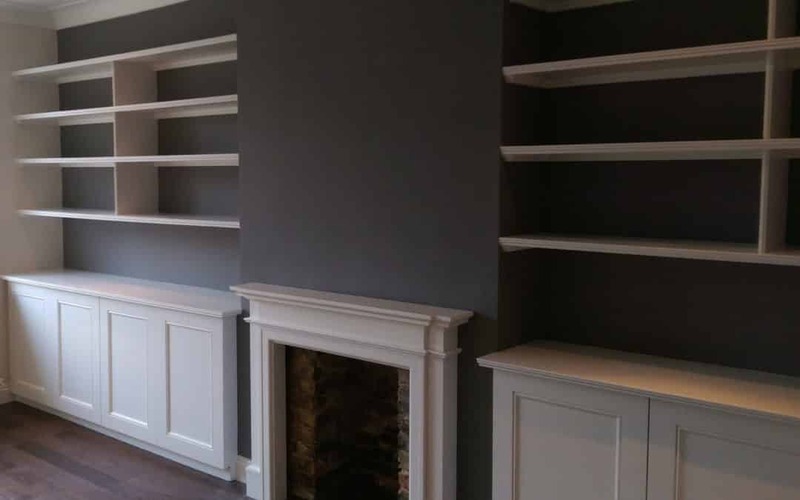 Well, it depends on client requirements, but if you want a quality and bespoke furniture made and decorated on site, then it will not likely be cheap. Again, beauty requires compromising between financial and feel good sides. MDF or solid wood? Well there is know the right or wrong answer here. Both will last for years and and years if finished and decorated right. So, get it touch with your local professional tradesmen and add feel good factor to your busy life. Dram it, design it, make happen and enjoy.